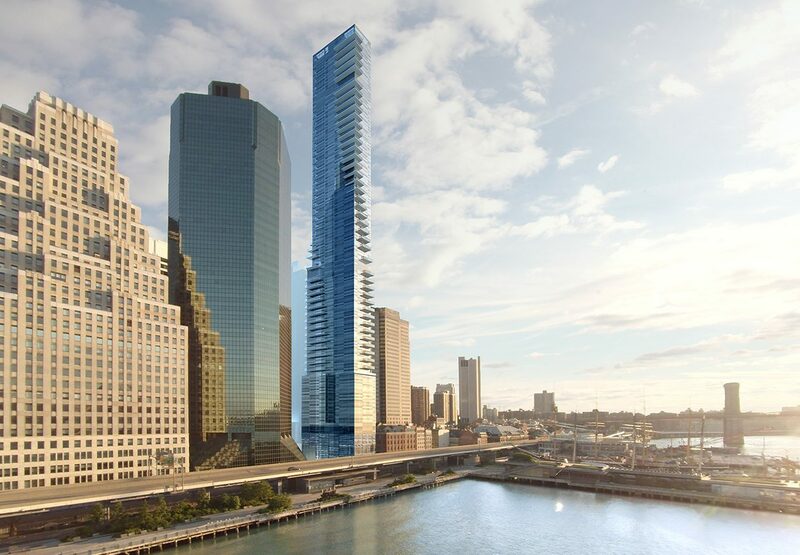 Foundation work on the tower, known for being downtown’s first residential skyscraper directly fronting the East River, was completed before the developer hired Pizzarotti in late 2015. In 2018, RC Structures, the concrete subcontractor on the project, reported that “there are structural issues, unusual settlement up to three inches, and the building is leaning three inches to the north,” according to the suit. RCC had been hired to replace the previous concrete company, SSC High Rise Construction, after an SSC employee fell to his death from the 29th floor on October 2017. According to Pizzarotti, Fortis had opted not to drive piles into the site’s soft riverfront ground before laying the foundation as a way to save money, using a “soil improvement” method instead. Last year, the company that was working on the building’s facade pointed out that the curtain wall frame on the 21st floor was leaning two inches past the 11th floor. According to the suit, the contractor hasn’t been able to install the curtain wall because Fortis has failed to design a new facade system that allows for the lean. Pizzarotti claims the building will continue to settle unless the foundation problem is fixed, and is worried about panels breaking off and falling as well as elevator rails failing to remain vertical, waterproofing, corrosion and other issues that may result from the unstable structure. The company says Fortis was informed it would terminate the construction contract on March 1, and hopes to recover the cost of overruns that reach into the tens of millions and get an injunction that prevents construction from proceeding without a redesign. The Fortis spokesman acknowledged that the structure “had an alignment issue,” that didn’t affect safety, but said the general contractor had, in fact, caused the leaning condition by not planning correctly to account for the settling foundation. Pizzarotti has continued working on the development until this week when Fortis officially ended its agreement with the contractor. Fortis has hired a new general contractor, Ray Builders, to redesign the facade and resolve the alignment issue. 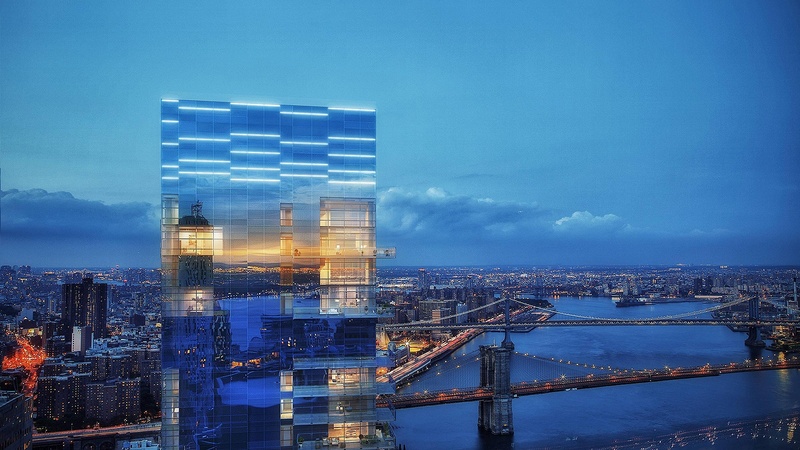 According to Jacob Mermelstein, the CEO of Ray Builders, “[Pizzarotti] didn’t pour the slabs correctly so we have to accommodate for their poor construction practice in the installation of the curtain wall,” siding with the developer in the suit.